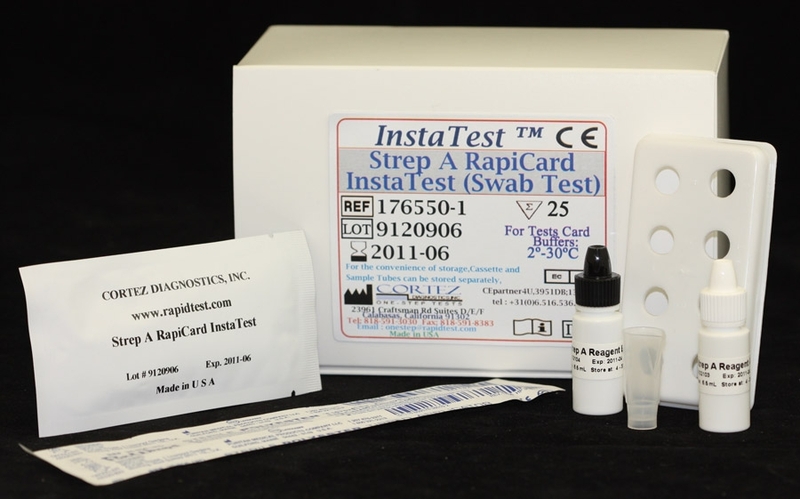 One Step Salmonella Typhi Antigen RapiCard Insta Test cassette is a qualitative immunochromatographic assay for the rapid detection of Salmonella Typhi antigens in human stool or whole blood/plasma/serum specimen. 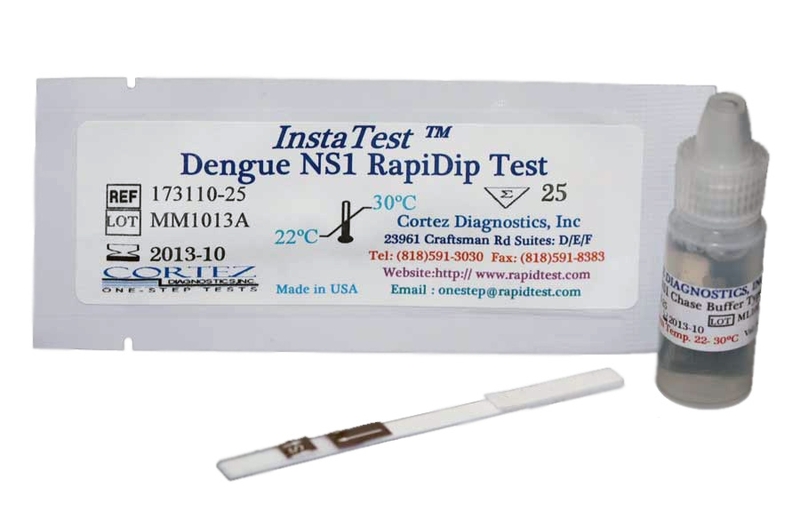 The Salmonella Rapid Test results are intended to help in the diagnosis of Salmonella Typhi infection and to monitor the effectiveness of therapeutic treatment. Typhoid fever is a life threatening illness caused by the bacterium Salmonella Typhi, and was observed by Eberth (1880) in the mesenteric nodes and spleen of fatal cases of typhoid fever. It is common in developing countries where it affects about 12.5 million persons annually. The infection is acquired typically by ingestion. On reaching the gut, the bacilli attach themselves to the epithelial cells of the intestinal villi and penetrate to the lamina and submucosa. They are then phagocytosed there by polymorphs and macrophages. The ability to resist intracellular killing and to multiply within these cells is a measure of their virulence. They enter the mesenteric lymph nodes, where they multiply and, via the thoracic duct, enter the blood stream. A transient bacteremia follows, during which the bacilli are seeded in the liver, gall bladder, spleen, bone marrow, lymph nodes and kidneys, where further multiplication takes place. Towards the end of the incubation period, there occurs a massive bacteremia from these sites, heralding the onset of the clinical symptoms. The diagnosis of typhoid consists of isolation of the bacilli and the demonstration of antibodies. The isolation of the bacilli is very time consuming and antibody detection is not very specific. Other tests include the Widal reaction which lacks both sensitivity and specificity. Our OneStep S. Typhi Antigen RapiCard InstaTest takes only 10-20 minutes and requires only a small quantity of stool or one drop of serum to perform. It is the easiest and most specific method for detecting S. typhi infection. 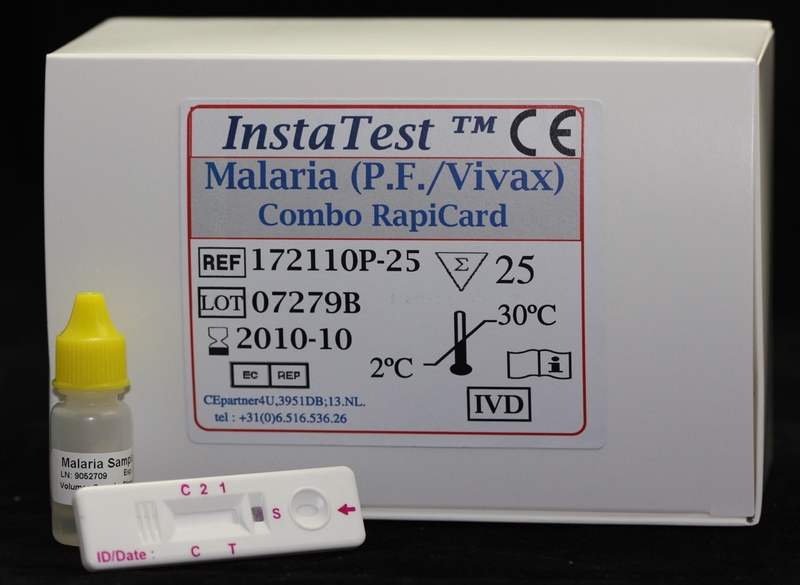 OneStep S. Typhi Antigen RapiCard InstaTest is a qualitative one step immunochromatographic assay. The test employs antibodies specific to S. typhi lipopolysaccharide (LPS) to selectively identify S. typhi (typhoid) infection with a high degree of sensitivity and specificity. As the specimen flows through the absorbent pad in the sample well and through the antibody/colloidal gold conjugate S. typhi antigen present in the sample binds to the conjugate forming an antigen/antibody complex. The complex continue to migrate along the membrane to the test band region where S.typhi specific LPS antibody is immobilized. In the presence of S. typhi, the antibody captures the complex. This forms a visible pink/purple band in the test line zone area (T). For additional details please refer to the instructions for use. 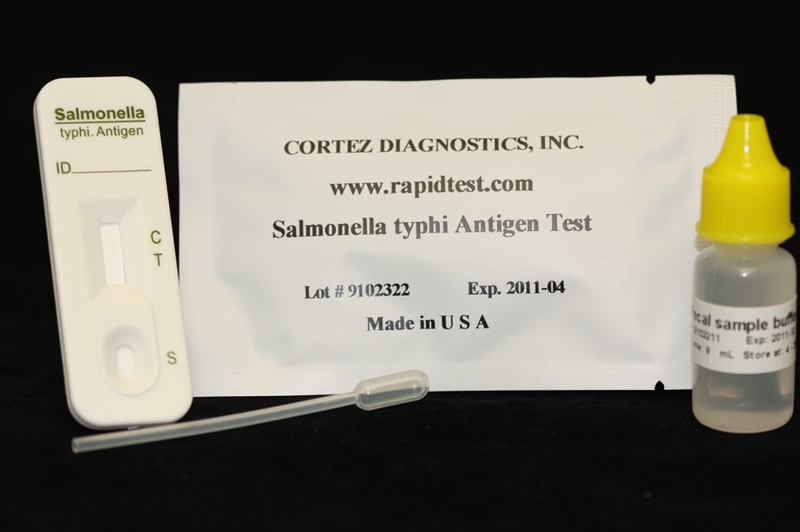 See Salmonella Typhi Rapid Test Product Insert for specific details on preparation, procedures, quality control, and interpretation of test results.